Louise+1 has built up a solid reputation as an innovative, cutting edge DJ within the UK underground scene over nearly two decades. Originally starting off playing for the London based squat sound system “Shtonka”, she quickly progressed to playing for a number of different promotions and was the person behind the hugely successful ReRaveAll night held at the legendary Dungeons in Lea Bridge Road and Mass in Brixton which showcased artists such as Jerome Hill, Break, Silent Witness, D Bridge,Woody Mcbride, Chase & Status, The Surgeon, 2 Bad Mice and Top Buzz. Louise is constantly trying to promote quality within the scene and has been co running Distant Planet for the past three years a quality night which features the best Old Skool DJs, who dig deep into their collections, all playing vinyl. Earlier this year Louise made her Glastonbury Festival debut alongside DJ Hughesee, playing with Miss Pink at Bloc 9, Brainwash and the Chelsea Crew Bar. She also plays at Rupture one of London’s most successful Drum’n’Bass and Old Skool nights held at Corsica Studios and in October is due to play at Long live beautifully crafted Jungle! at the Bunker in Deptford and Kapow at Club Union. 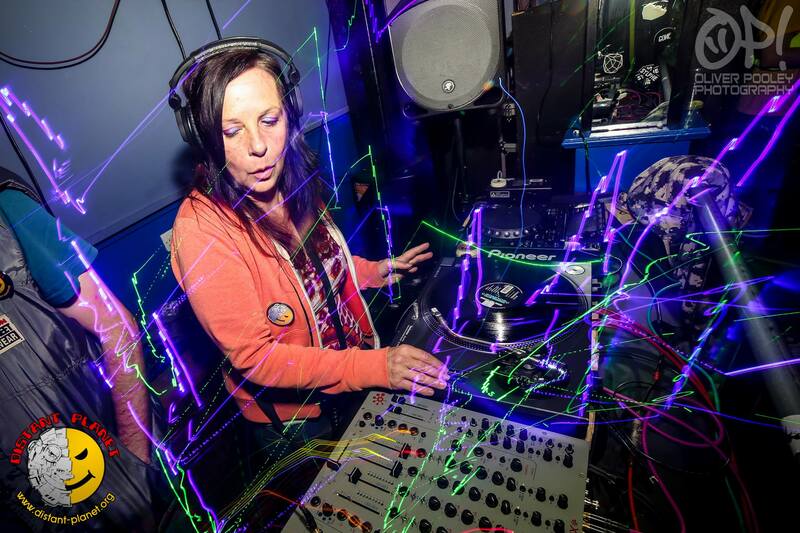 Spinning everything from Acid House to Jungle and from Electro to Techno, Louise is extremely versatile and will rock any dance floor.